Add that rustic touch to your cabin or log home with a Timber Ridge Elk Sconce. Made in the USA. 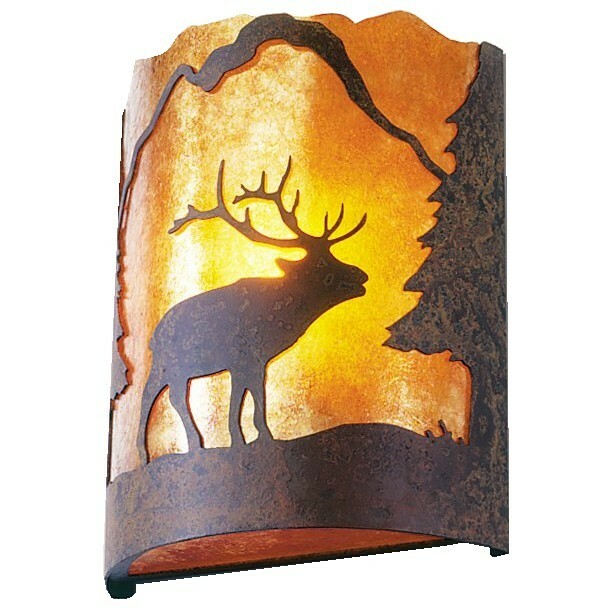 Add that rustic touch to your cabin or log home with a Timber Ridge Elk Sconce. This elk sconce measures 12"H x 10"W x 4"D and uses one100 watt regular base light bulb. Please allow approx. 3 weeks for delivery. Made in the USA.